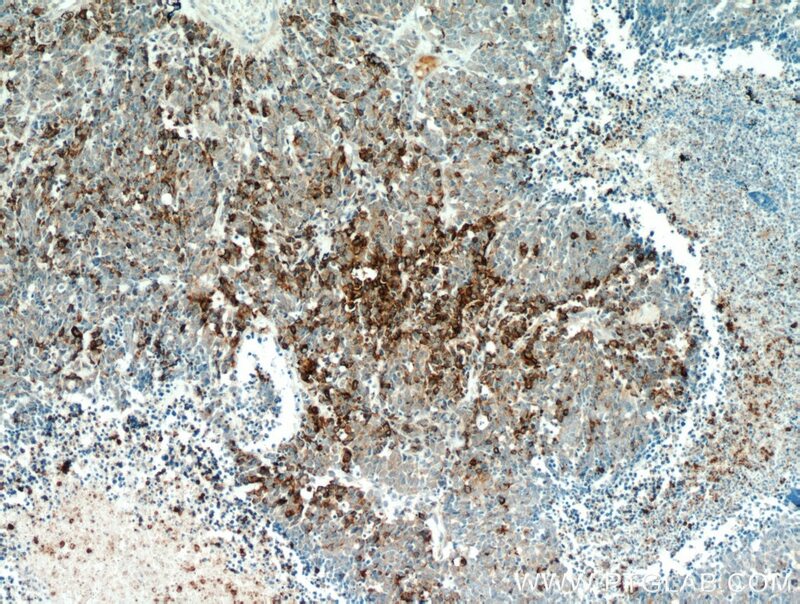 Immunohistochemical analysis of paraffin-embedded human pancreas tissue slide using 10529-1-AP( Chromogranin A antibody) at dilution of 1:1600 (under 10x lens). 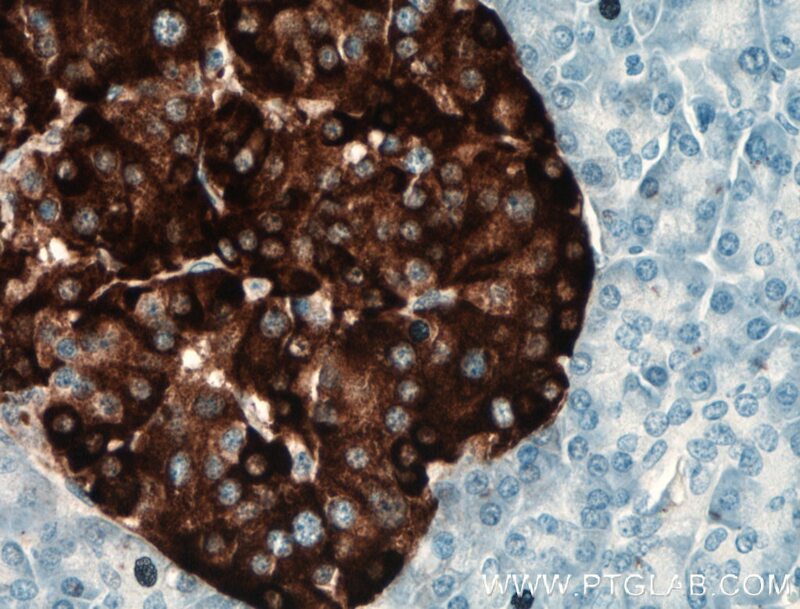 Immunohistochemical analysis of paraffin-embedded human pancreas tissue slide using 10529-1-AP( Chromogranin A antibody) at dilution of 1:1600 (under 40x lens). 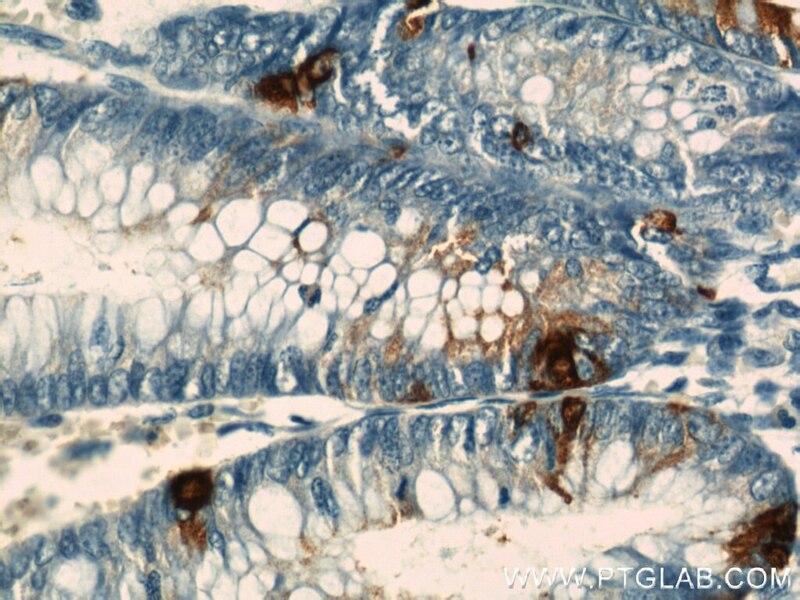 Chromogranin A is a member of the granin family of neuroendocrine secretory proteins. 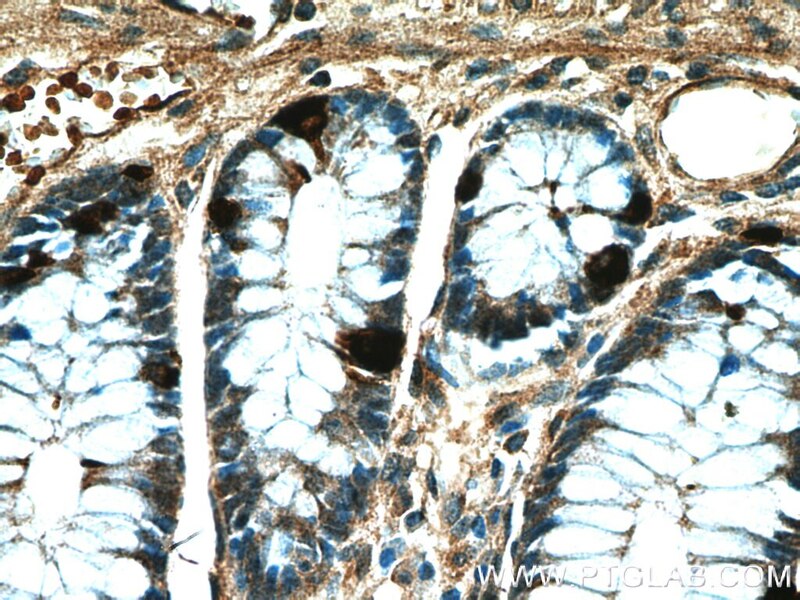 It is located in secretory vesicles of neurons and endocrine cells. Chromogranin A is the precursor to several functional peptides including vasostatin, pancreastatin, catestatin and parastatin. 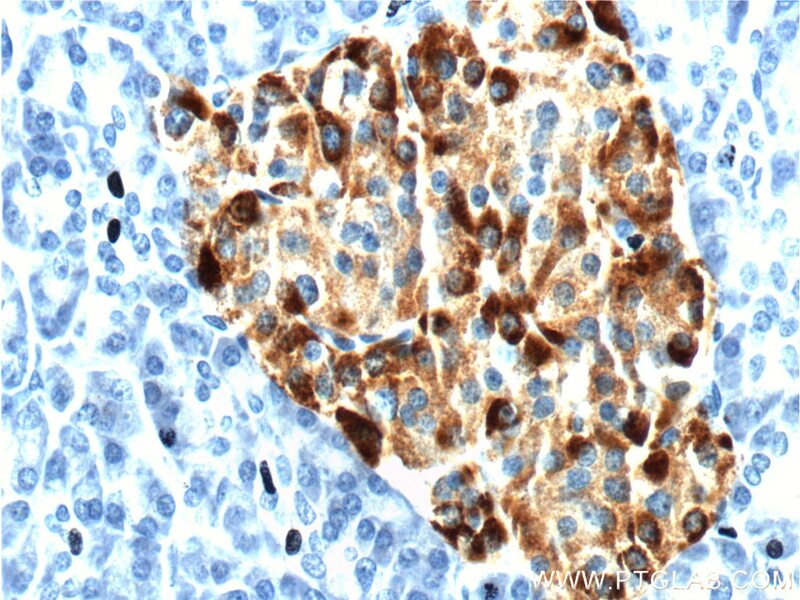 These peptides negatively modulate the neuroendocrine function of the releasing cell (autocrine) or nearby cells (paracrine). 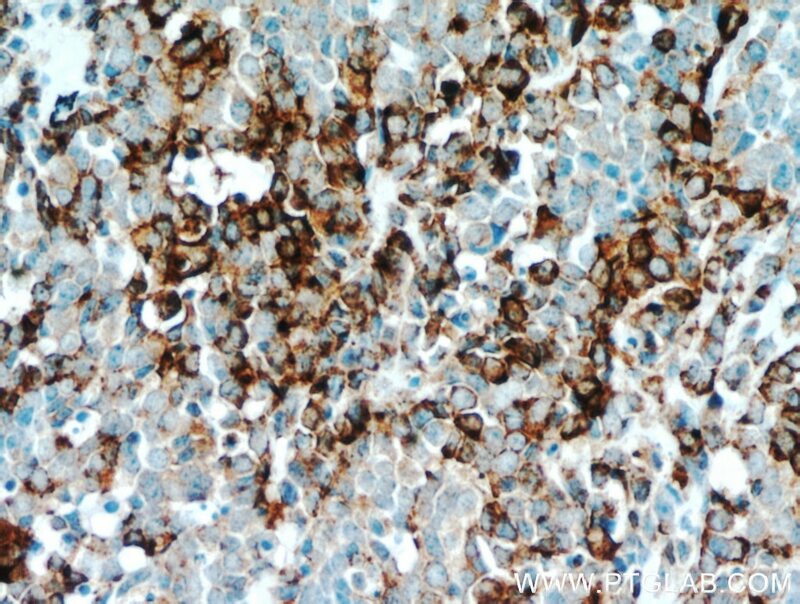 CgA is one of the most used tumor markers in NET's (neuroendocrine tumors) , and elevated CgA concentrations have been demonstrated in serum or plasma of patients with different types of these tumors. 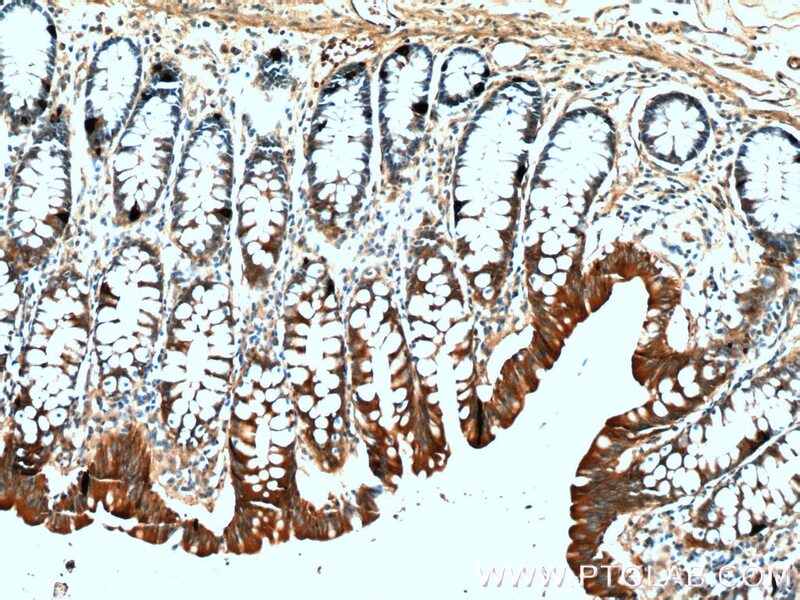 Immunohistochemical analysis of paraffin-embedded human colon tissue slide using 10529-1-AP( Chromogranin A antibody at dilution of 1:400 (under 10x lens). 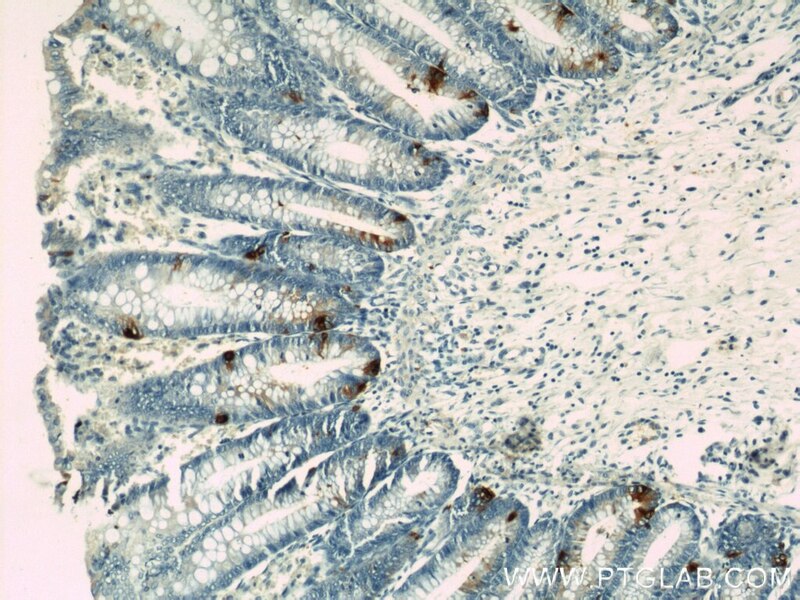 Immunohistochemical analysis of paraffin-embedded human colon tissue slide using 10529-1-AP( Chromogranin A antibody at dilution of 1:400 (under 40x lens). 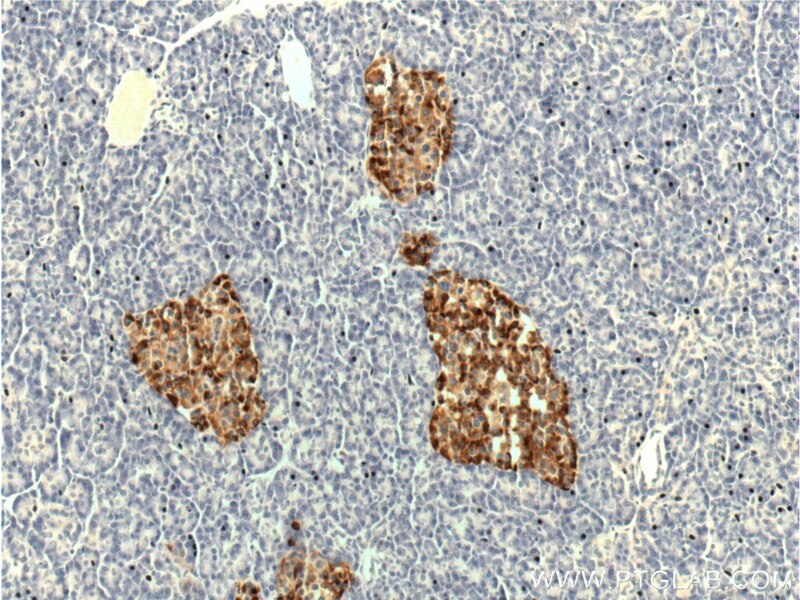 Immunohistochemical analysis of paraffin-embedded human pancreas tissue slide using 10529-1-AP( Chromogranin A antibody at dilution of 1:400 (under 10x lens). 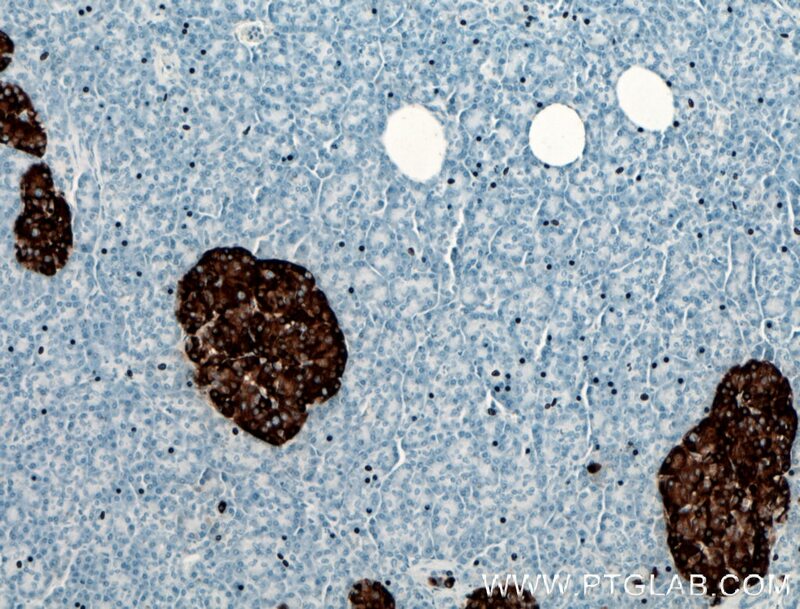 Immunohistochemical analysis of paraffin-embedded human pancreas tissue slide using 10529-1-AP( Chromogranin A antibody at dilution of 1:400 (under 40x lens).